When this bairn's 88 miles pah our... you're gonna see summ reyt serious shite. In this 1980s sci-fi classic, small-town California teen Martih McFlih be thrown back inta t’50s when an experimunt bih be eccuntric sciuntist mate Doc Brown goes awrih. Trairvlin’ thrurr tarm in a modified deLorean tractor, Martih encounters young versions o’ be parunts ‘n must mairk sure tha’ they fall in luv ah e’ll cease tiv exist. 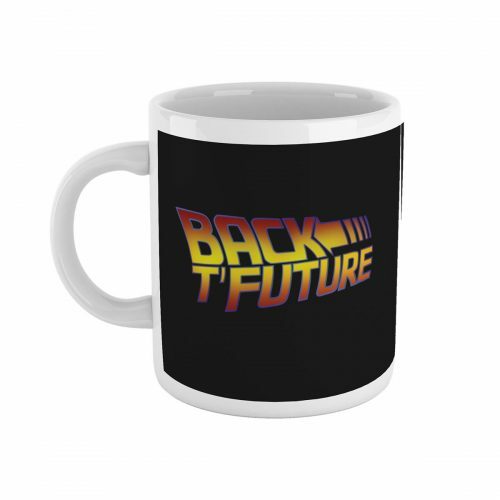 Even more dauntinglih, Martih as t’return tiv be own tarm ‘n sairv t’life o’ Doc Brown. 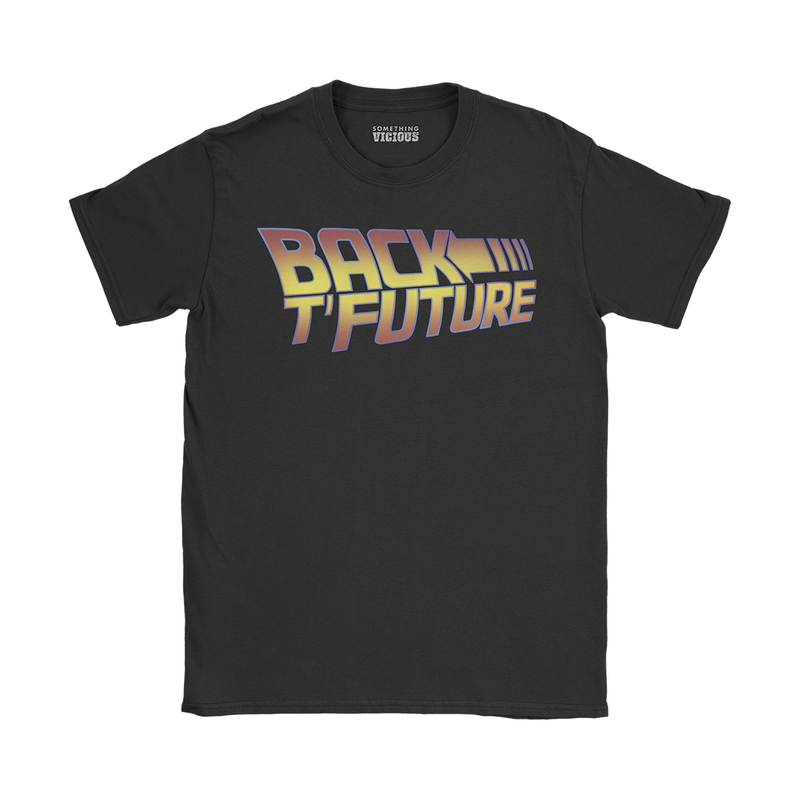 This exclusive design, inspired by the Back To The Future Trilogy, is printed direct-to-garment using the highest quality ink onto the very best quality soft organic cotton tees. Designed to fit snugly and comfortably, these high quality garments will keep your body looking hilarious for years to come.